Just over two years ago I decided it was time I wrote a novel, I’d had an idea mooching around in my head for a while and recognised that it was no good leaving it there. I had to put it on the page. So, I started writing. I was quickly ‘in the flow’ and wrote 98,000 words. It was about an expat wife, a bit like me, who found herself in Dubai, just like me, and who wanted to retain her professional identity against all odds, just like me. I knew the topic well. I had been there, done that, got the tee shirt and written the books too. With titles under my belt including Career in Your Suitcase, Find Your Passion and Expat Entrepreneur, I reckoned I had the subject matter sussed. But after months of writing I received some feedback on my work and was told in no uncertain terms that I had got it badly wrong. You see, the thing is, I knew so much about the subject that I had inadvertently written a non-fiction book all over again instead of a novel. Well, I’m not sure where I had been, but at that moment I knew the place I had to go was back to the drawing board. I binned my 98,000 words and started again, this time from a place of pain. This time I got right inside the head of my main characters and felt their emotions not for them, but with them. In doing so, I was forced to drop my ‘portable career expert’ status and simply start telling the story. In short, I did what Goldberg had been telling me to do for years. To be vulnerable. To be awkward. To feel exposed. 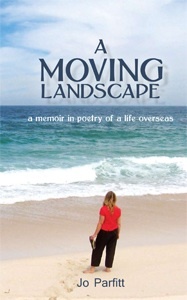 I finished my novel in January, and immediately after, as some of you know, I published my first volume of poetry, A Moving Landscape. Buoyed up by the feeling of relief and freedom that I had gained from writing my novel, I was confident enough to go one step further and show the world my poems too. I’m with Goldberg. Your best writing and your writer’s voice are to be found when you find your words not in the pen or keyboard but in your heart, your gut, your soul. If you find it a struggle to expose yourself in this way and perhaps consider it too scary, then I suggest you try writing a poem. In my experience, poetry is written from that place of pain, and when you write it, somehow you give yourself permission to be vulnerable. It’s July. Chances are you will be taking a holiday sometime soon. My challenge to you is that you take a beautiful notebook along with you and practise writing from the soul. You never know, you may not just find your voice, you may find yourself too. Don’t forget to scroll down to the Writers’ Resources section in this month’s Inspirer See the Workshop Diary for brief details. To catch the news when it happens please sign up to my blog. For a summary of what I’ve been writing about see the On the blog section of this newsletter.